"Remember ‘We’re the free speech wing of the free speech party’? How vain and oblivious does that sound now? Well, it’s the morning after the free speech party, and the place is trashed." Fascinating interview with fourteen content moderators who have worked at various services like Google, Twitter, Reddit, and Facebook. Leaving social media does not make it go away. If you work on the web in any capacity (I do), the big sites like Facebook, Twitter, and Google are omnipresent. It seemed like each week of 2018 brought a new jaw-dropping revelation of Facebook mismanagement. Google leaked user data, hid it, and employees were in the streets asking for fair working conditions. Twitter is a platform for Nazis because they incentivize engagement above all things and do not adequately handle abuse. I agree with Anand Giridharadas who posted this Twitter thread: "Trying to fight a predatory, politically connected monopoly through heroic personal responsibility doesn't work." We need regulation. So that's depressing! I wouldn't call it heroic responsibility, but I did change my online habits quite a bit in 2018. I now read and post social messages via Mastodon which is a distributed kinder, gentler Twitter. I wish more people would make the switch so I could close my Twitter reading window altogether. I stopped posting photos online which is something I used to enjoy. I'll make an effort to post them here more frequently. In October I did start posting more frequently to this site which means I also started paying more attention to my site metrics. Last week I made a snarky post about Google Analytics which was my poor way of processing this. I deleted it because the fact is, Google Analytics is a necessary tool if you work on the web. Necessary, but I don't like the way it turns people into numbers. So that's a tension I'm trying to live with and the answer might be that I shouldn't use web marketing tools for personal projects. I'd like to have a way to know if what I'm writing here is being read and resonating, but not if it means getting alerts and notifications that traffic is dropping, engagement is lower, and people are bouncing away forever. There has to be a more humane way to visualize and engage with web audiences. My wish for social media in 2019 is for new leadership at all of the major web companies. I don't think we'll ever see them disappear, nationalized, or regulated in a meaningful way. I'd like them to have a less central role in how we create and share online. I think some new leaders could steer the companies away from growth-at-all-costs toward a more ethical relationship with users. I'd like to see them usher in the era of maintenance! That's where they take the amazing tools they've built and optimize them to work within society. I like this framing of the Mastodon vs. All Social Media story. 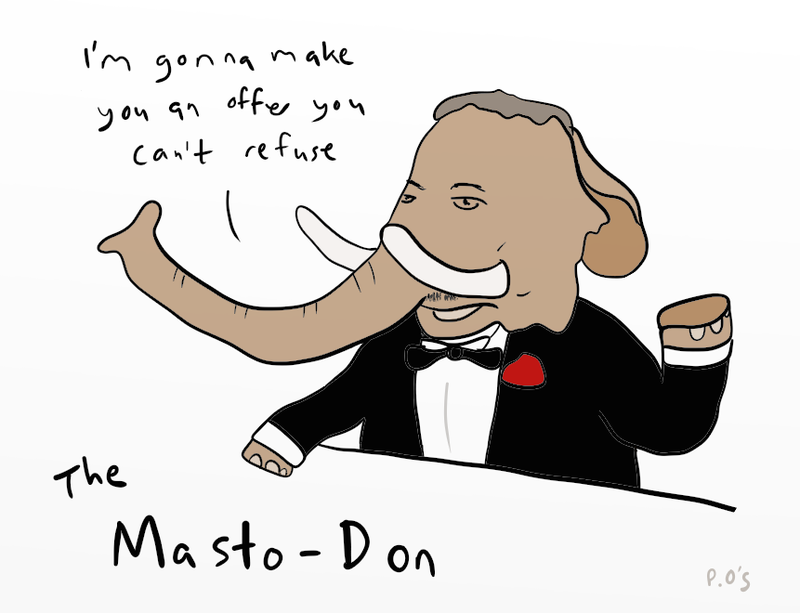 Mastodon doesn't have to supplant Twitter to be a success. If people like me enjoy using it (and I do!) then it's working on some level. Yet every article about Mastodon says, "it has a long way to go to supplant Twitter." When you look at raw number of users, that's true, but do we need massive centralized networks? This recent Mastodon 101 article falls into the same framing trap, but it's a good summary nonetheless: The quest to design an ethical social media platform. "But Paul," I can hear you saying through the internet, "how do you stay informed about the outside world if you can't visit Twitter and Facebook?" That's a great question but I'm afraid we've run out of time for today, sorry. I was a huge Google Reader fan and I still use an RSS reader. When Google Reader shut down I installed a local version of Tiny Tiny RSS on my server and spent a lot of time customizing it to look and behave like Google Reader. I still use it regularly and I wish I could say that was my primary source of information these days. Unfortunatley the big two have pulled people's creative energy into them like content black holes from which not even light-hearted jokes can escape! I think of my tt-rss instance as "appointment" web entertainment. I visit it occasionally to keep up with specific sites but it doesn't feel urgent to stay up-to-date. I would love to see a return to distributed publishing and reading via RSS but tt-rss and newsreaders in general feel like too much work to install, set up, and manage. NextDraft - Dave Pell writes better headlines for the day's headlines. Today in Librarian Tabs - Jessamyn West shares news from the library world. Things That Have Caught My Attention - Dan Hon reveals the dystopian technology hellscape around us. Fight Fire With Phire - Jenny Zhang pulls daily political news into a concise summary of main events and some ways to take action. I usually read these as they come in and always get something out of them. 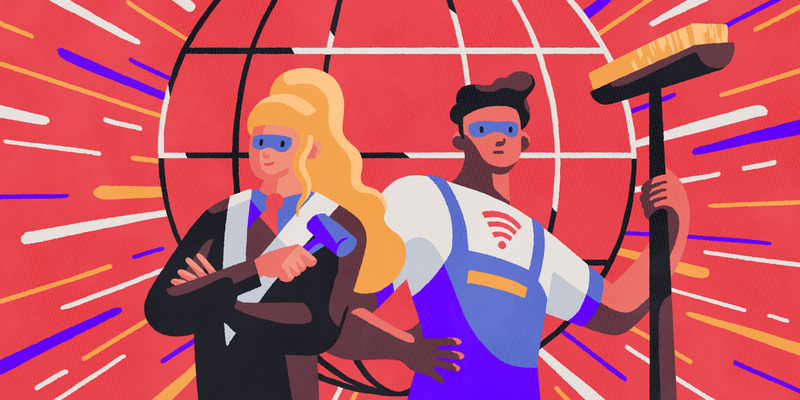 Some weekly reads I enjoy include Friday Front-End (web development news), Hacker Newsletter (sorry), and the top questions of the week at RPG Stack Exchange. What I like is that I control what's coming into my inbox. Like a newsreader, I choose the sources and let them curate news for me. There isn't an algorithm helping me decide which pieces of these I should read. Maybe it works because I haven't subscribed to very many. Maybe it works because email isn't a primary source of anxiety for me anymore. Popular favorites at MetaFilter and Ask MetaFilter - Sure, I'm biased, but it's still the best online community and while I'm not in the daily mix there anymore I always find great perspectives when I go. Looking at this list I know there is much more I can do to diversify my information diet. Part of this experiment is going through this self-examination to find ways to improve. I'm sure you're sorry you asked by now, but I appreciate your concern. I'm still concerned about keeping up with friends and family but we really are out of time now so that'll have to be another post. Just know there's a lot you can take in outside of the big two and still feel like you're plugged into the hive mind. Social media services need to think harder about how they resurface and present our memories. Looking at Instagram and social media though Berger's Ways of Seeing. Free service that creates full-page photo galleries and deletes it after 14 days on inactivity. This is a nice reminder that using social media is a choice, not an obligation. The Atlantic has a very nice story about a recent Ask MetaFilter question. Facebook Pages: Why I don’t like Nest thermostat or anything else anymore. A rant about the problems with using social connections in advertising. Adrian Holovaty's latest project helps guitarists learn songs via collaborative annotations. Very nice design. Showing 1 through 12 of 55 posts tagged social.